Ovation Series Fence Styles If you would like to have a fence with pointed pickets around your pool, then our Bravo Fence may be perfect for you. Bravo uses the same larger components as Ovation and is very similar in design, except that the pickets extend above the top rail and are pointed. 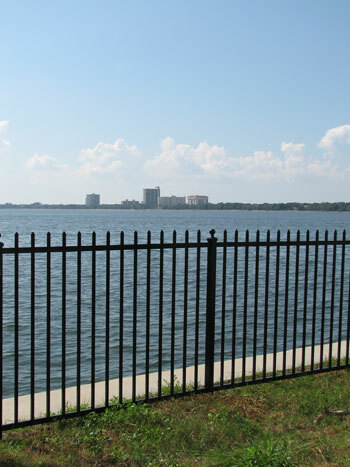 This fence is only 52 tall, yet it still meets most pool codes.